WASHINGTON — No more staying up late during the week. Farewell to sleeping in. And, hello homework! About 50 million students are expected to attend public elementary and secondary schools this fall. That’s up just slightly from the 2015-16 school year, according to the U.S. Education Department. They’ll be taught by some 3.1 million school teachers from pre-kindergarten through high school, with an average student-to-teacher ratio of about 16 students to each teacher. Around 249,000 teachers are new hires this school year. 50 million students are expected to attend public elementary and secondary schools this fall. Some schools are adding to the traditional 180-day year. 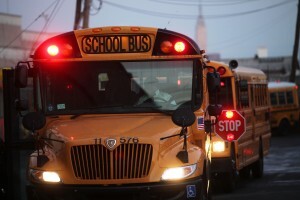 In Washington D.C., for example, 10 public schools are moving to extended-year schedules. Students in those schools will have 20 more days per year than peers at other schools. They’ll have shorter breaks over the school year, which will run 200 days through all 12 months. The idea is less time away from school in the summer will help boost learning and achievement. American students trail their counterparts in Japan, Korea, Canada, Germany, France and more. The nation’s schools districts are working with states and the federal government as they implement a new education law passed last December that returns to the states significant control over education policy. But the Education Department still plays an oversight role for the nation’s 100,000 or so public schools. Back-to-school supply costs are expected to decrease this year, but they’ll be offset by higher fees for after-school activities such as sports, according to the latest Backpack Index by Huntington Bank. The index measures the cost of supplies and extracurricular activities. $659 for an elementary school child, a 1.5 percent increase compared to last year. $957 for a middle school student, a 1.6 percent increase. $1.498 for a high school student, a 6.8 percent increase.